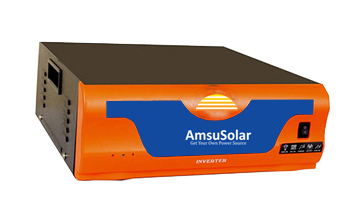 Grid-Tie inverters are simply inverters which are connected to the grid. Without getting too technical, these inverters produce a pure sine wave that is congruent with the AC waveform produced by the grid. This allows you to send any unused, surplus solar electricity your system has generated back into the grid, which you may or may not receive a feed-in tariff for. In the majority of cases and for most states, it’s a requirement that the inverter you install is grid-tied, whether it’s string, hybrid, or micro. Like standard string inverters, off-grid inverters are responsible for the conversion of DC electricity generated by your system’s panels into AC electricity that can be used by the appliances in your home. Unlike standard string inverters however, they do not have the ability to export excess solar electricity into the grid. Off-grid inverters are used in either remote areas, or where the homeowner wants to separate entirely from the grid. C-Integrated Solar street light available. 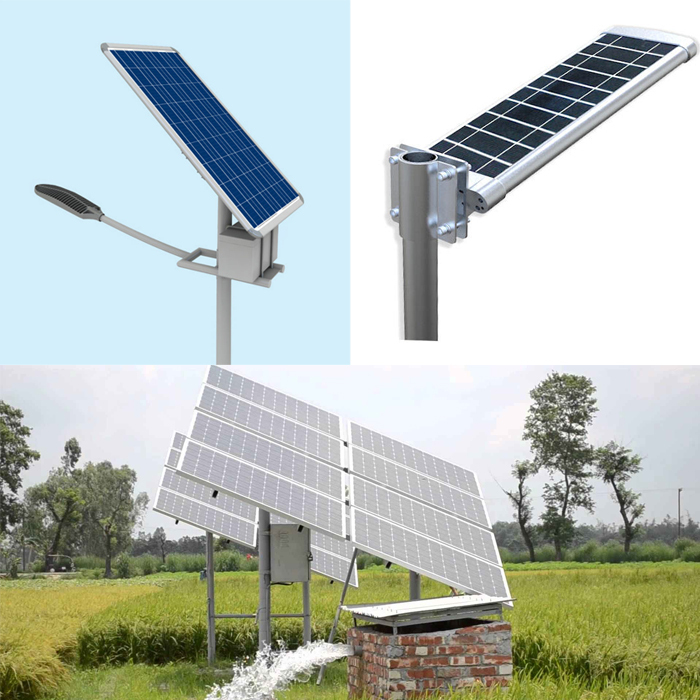 Solar Water Pumps are devices made to pump water using the energy of the sun. For rural locations that are not part of the local electricity grid, solar pumps offer a clean and simple alternative to fuel-burning generators and windmills. They require no fuel deliveries and very little maintenance. It has three main components. C-Pump unit which is actually a pump coupled to a motor.